Costa Rica is a natural choice for Baby Boomers due to its year round temperate climate, lower cost of living, advanced medical sector, and a short flight from most of the continental U.S. Joshua Kanter of United Country – Properties in Dominical discusses current retirement trends in Baby Boomer retirees. Costa Rica has historically been a retirement haven for ex-pats and will be one of the top destinations for Baby Boomers to retire. The Southern Zone and Playa Dominical area are fast becoming more popular with retirees due to unparalleled natural beauty, laid back healthy lifestyle, easier access, plus convenient hospitals and clinics. Dominical Property, S.R.L. is a local real estate and property management expert that specializes in making the transition to Costa Rica as smooth as possible. So what will Baby Boomers look for in a retirement destination? Basically somewhere they can make their savings last and enjoy an active lifestyle, while staying fit and healthy. The quality of life in Costa Rica is some of the best in the World and it has been ranked #1 on the Happy Planet Index (New Economic Foundation) for two consecutive years. The medical care in Costa Rica is also some of the best in Central America; as many travel here specifically for medical tourism. Most all fruits and produce are grown locally; meat and poultry are fresh; and seafood is plentiful. Costa Rica has many micro-climates, but more and more Baby Boomers are exploring the Southern Pacific Zone. This area is best known for Playa Dominical, which was 18th on CNN Go’s list of the “World’s 50 Best Beaches”. The Playa Domincal area offers some of the most beautiful landscapes in the country, an abundance of wildlife, miles of secluded beaches, numerous waterfalls, and tons of outdoor activities from adventurous surfing, hiking, rafting, and zip-lining to more relaxing hobbies such as; bird watching, beach combing, fishing, and whale watching. 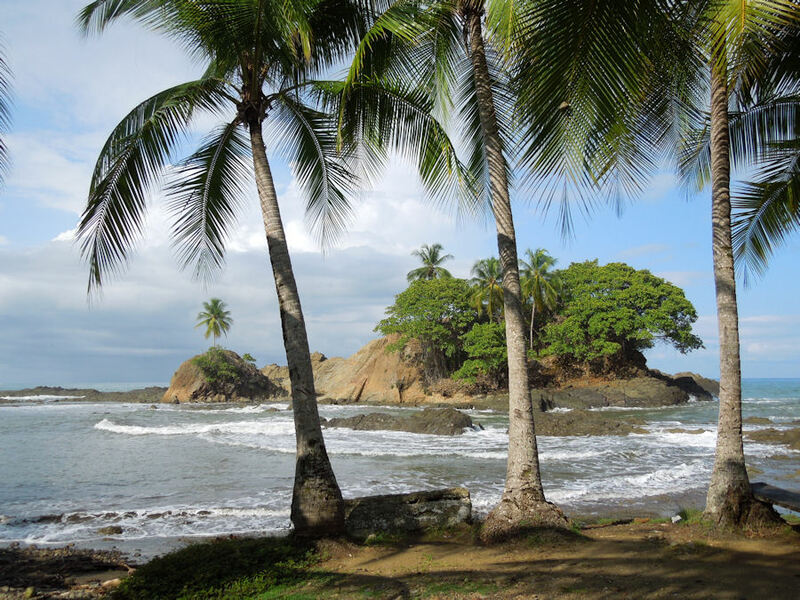 The Dominical-Uvita area, also known as Costa Ballena, has experienced recent growth and popularity due to the new Caldera Highway and paving of the Coastal Highway from Quepos; now only a 3 hour drive from San Jose. Also the Quepos Regional Airport is 30 minutes from Dominical and services daily commuter flights from San Jose. Costa Ballena has all the amenities a retiree wants in casual and fine dining restaurants, banks, shopping, supermarkets, mechanics, pharmacies, and clinics. There are also 3 hospitals with in 30 to 45 minute drive in Quepos, San Isidro, and a new hospital in Cortes. The city of San Isidro is 40 minutes from Dominical and is one of the fastest growing cities in Central America. Modern conveniences mixed with a laid back lifestyle and lush rain forest surroundings make this one of the most desirable areas of Costa Rica. Dominical Property, S.R.L assists Baby Boomers in retirement relocation with a wide array of Dominical real estate listings for sale and rent. The company can also manage a second home, recommend real estate and residency attorneys, and help facilitate the building process. The Southern Pacific Zone of Costa Rica is becoming a World class retirement destination and allows Baby Boomers a second chance at retirement. This entry was posted in Costa Rica Real Estate, Dominical Costa Rica, Living in Costa Rica, Retiring in Costa Rica and tagged Buying in Costa Rica, Costa Rica Living, Costa Rica Real Estate, Dominical real estate, Living in Costa Rica, Retirement, retiring in costa rica by dominicalproperty. Bookmark the permalink.